Now you may have heard about Rory McIlroy signing a long-term contract with TaylorMade, worth a rumoured $100 million. However, I have an exclusive for you! TaylorMade have been in contact after hearing about our very own Men's Captain David Barnett's fantastic performances over the weekend with their latest equipment. From the two unbelievable shots to reach the 15th against the wind in Saturday's 5Up Captain and Pro Match victory against Rich Halifax and Ray Williams (sorry chaps couldn't resist) to the gross 68 he shot to win the Jubilee Cup on Sunday. So I believe there's a TaylorMade contract on the table, not sure if it quite reaches the $100 million mark, but I will be negotiating hard on The Captain's behalf! It was also a good weekend for the club in the knockouts with Mike Lower and Mike Dowdell winning through to the next round of The Daily Mail Foursomes in a 19th hole thriller down at Horton Park Golf Club. Horton Park probably don't ever want to hear the name Epsom Golf Club again as on the same weekend our Surrey 5 'A' team beat them 3 - 2 to advance through to the next round. The 'B' team on Saturday also had a very close match against the Banstead Downs Artisans with Captain Rob Jones charging down the first extra hole to take overall victory 3 - 2. Well played to all chaps representing the club this weekend. This week we have had the Ladies Spring Meeting and over the two days there were a number of titles up for grabs and the first winner was Jean Kenny who won The Bruce with a superb nett 67. The Lillian Macksey was then won by Pat Foot with a terrific nett 68 and finally the Norman Cup for the gross best was taken by that lady again, Jean Kenny. Wednesday saw all the ladies heading out in their pairs for a shotgun start at 9:00am for the greensomes competition and coming out on top of the field was the pair of Sue Becksmith and Angie Stevenson to lift The Salver… well played ladies. The golf was followed by what I hear was a beautiful lunch and all the ladies enjoyed receiving the many trophies handed out at the presentation, judging by all the prize vouchers that are flooding back into the pro shop. With The Derby around the corner making the club a bit quieter for play, I thought what a great opportunity to offer a FREE of charge custom fitting session! So if you've been thinking about upgrading your equipment or even if your just curious? 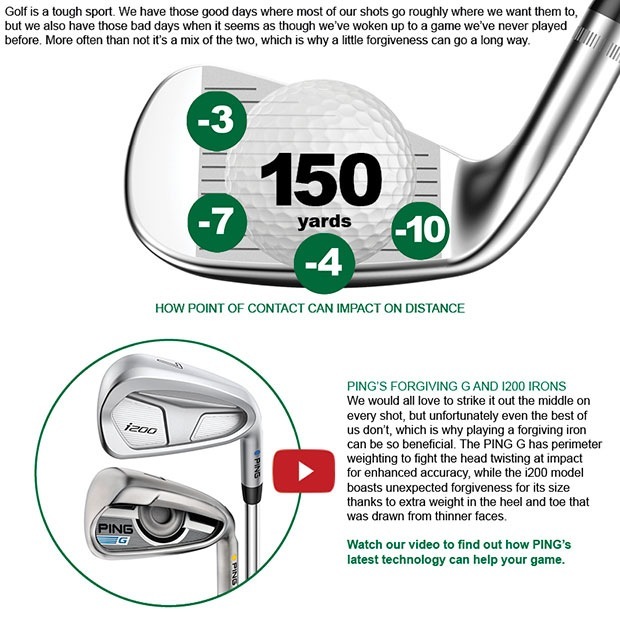 Drivers, hybrid, irons, wedges and putters, we can custom fit it all to suit your size and game… you might even get a FREE couple of pointers to go away and work on. Call, email us here or pop into the shop to arrange a fitting! So, firstly on a positive, you have probably seen the posters and mentions in my previous email, The Derby Banquette on Saturday, 3 June is filling up very nicely with over 60 on the list. Therefore, if I was you and you're thinking about it, get you names down quick before it's full up! All of this for an amazing £35. Look out for the sign-up sheets and enjoy a fab day of 'fillies, fun and frolics'. Now for the negative, as you know we have a bit of disruption and if you click here you will see the timetable of closures I have worked on with The Jockey Club. For a limited time only, get 15% OFF all Under Armour ¼ zip, mid and outer layer tops. So make sure you visit us this weekend to grab yourself a bargain before it's too late. Click here to learn more about the Under Armour range for 2017. How does a FREE lesson and FREE fitting sound? Yes, you read that right. Until the end of June we’re offering the above on selected hardware purchases in-store. Our coaching and fitting expertise will really help you to get the most out of any new clubs in 2017, resulting in you playing better golf. 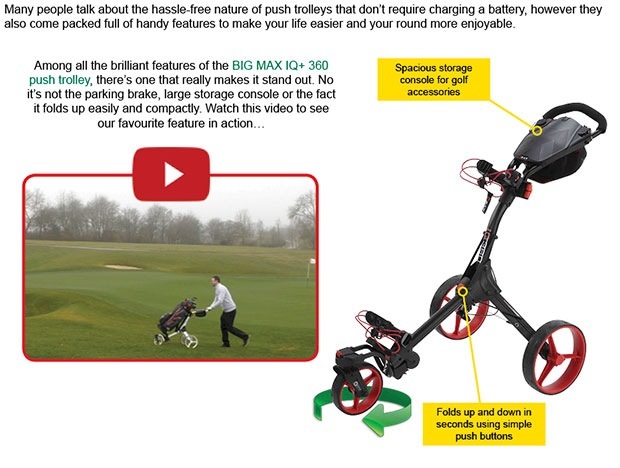 Motocaddy’s range of electric trolleys has never been better - both in stylish looks and innovative technology - and for a limited time only we are giving away an umbrella holder and an accessory station or drinks holder for FREE with all Motocaddy electric trolley purchases.